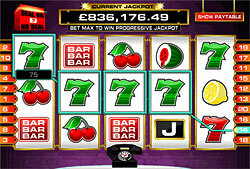 Do you want to have a look at the "inner" mechanism of slot machine? Lots of gamblers want to see the slots behind its "skeleton". Of course they hope that this knowledge will help them to increase chances somehow to become a winner. But actually Random Number Generator won't help you anyhow, it's an automatic chip that is not controlled, it controls the symbols that we're waiting for at the screens of the chosen slots machines. Random Number Generator works according to its name - it generates numbers in a random way. Every combination of figures has its own symbol. And if we see that hilarious pictures, we have to remember that behind them there are simple numbers. There are numbers from 16 till 512 and they are being generated even if a gambler doesn't play. Generator works every millisecond, in the same way that in the online slots RNG. Such is the work of Random Number Generator, and you'll ask what about all the slot strategies, attempts of the gamblers to hit the jackpots, is it in vain? How to sayâ€¦ in general yes, and what is more and what will embarrass you for sure, that there is no differentiation between the coin denominations. For example, the minimum bet consists of 50 cents, and you're sure that if you pull $1 you'll have more chances to have more payouts - that's so wrong! Just look at the game of slots as at the mere game of chance, not luck, not some experience - just chance that at some millisecond can convert you into a millionaire. The only thing that the player can do is to press the button at the appropriate moment. Try to guess that millisecond somehow and thus you can be a winner. Casinos always worry about the quality of the Random Number Generator because if it's with defects the gamblers have more possibilities to find out its payout's frequency. So, you can be thankful to Ronald Dale Harris, which has created this chip that decided our material status.